Richard F. Vermeulen, CPA, CFE, CRFAC, CCA is a Partner at Yip Associates and leads the Integrity Monitoring and Government Sector Advisory Services practice. Richard F. Vermeulen joined Yip Associates in 2016 as the Partner in charge of the Firm’s Government Sector Advisory Services practice. Mr. Vermeulen brings with him over 24 years of accounting and auditing experience, including more than 16 years providing a wide variety of integrity monitoring, forensic accounting and compliance services to major Federal, State and City agencies. Mr. Vermeulen and his team have successfully provided these services on some of the Northeast region’s largest and most complex mega-construction projects such as the World Trade Center Cleanup and Recovery project, the World Trade Center Transportation Hub, the National September 11 Memorial & Museum, Moynihan Station Redevelopment, Cortlandt Street Station, the East Side Access project, the Croton Water Treatment Plant, the Newark Airport Terminal A Redevelopment project and several Super Storm Sandy recovery projects and programs. 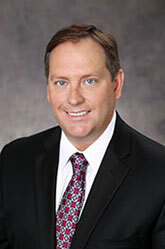 Prior to joining Yip Associates, Mr. Vermeulen gained valuable experience working at CohnReznick and K2 Intelligence/Thacher Associates where he developed and headed industry leading integrity monitoring and forensic accounting practices focusing primarily on the real estate and construction industries.